I am proud and thankful to have been a part of Leveling Up this past year at Theatre UCF, that allowed me to showcase all the work I had achieved during my undergraduate career. The show was a milestone for me as I got to work with some of the most talented people I know- and now call good friends. Praise and thanks to Mark Routhier for his electric staging that just seemed instinctual. To Patrick Sylvester and Patrick Mounce with whom I’ve never had more fun with in a play just being dudes in a basement and my sparring partner Gracie Winchester who always kept me on my toes. And of course, Deborah Zoe Laufer for writing a play that says so much more about the way we live than most. Check it out wherever and whenever you can! 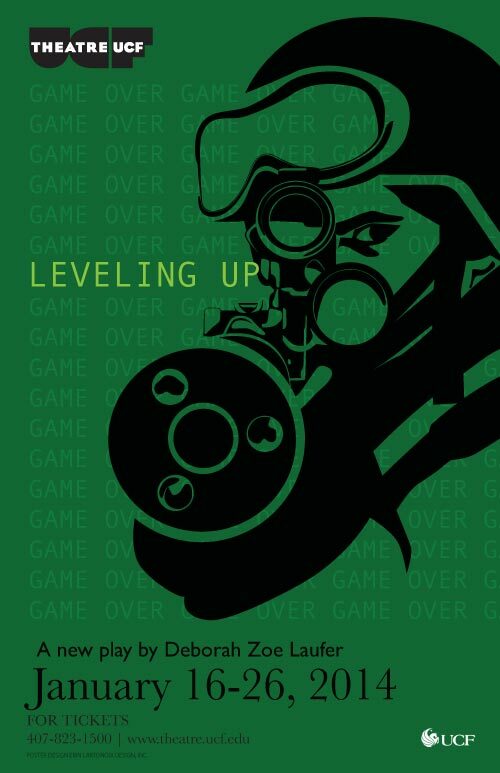 Now the theatre critic for the Orlando Sentinel, Matt Palm, has named Leveling Up as one of his top ten plays of the year and that, my friends, reflects the wealth of talent I was surrounded by last winter. Let the good times roll!